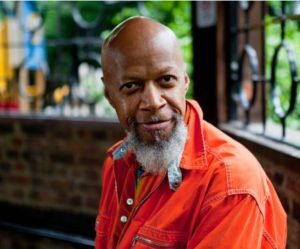 Born in 1943 as Edward Larry Gordon, Laraaji attended Howard University in Washington D.C. on a scholarship to study composition and piano. He later spent time in New York pursuing a career as a stand-up comedian and actor. In the seventies, Laraaji began his lifelong study of Eastern Mysticism, was initiated as a swami, and merged music with spiritual practice. Following an intuition, he bought a zither from a local pawn shop, converted it to an electronic instrument, and, while busking in Washington Square Park, Laraaji was discovered by Brian Eno who offered to produce him on the spot. His recordings can be found on WARP records, All Saints records, GLITTERBEAT, Numero Group, Stones Throw, Leaving Records, and Soul Jazz. Dallas Acid is a musical trio currently residing in Austin, Texas, who’s cosmic synth-scapes have been featured in multiple films and over a dozen albums. They’ve performed live in many unconventional spaces, including outdoor gardens, art galleries, projection cubes, and flotation centers. Their newest record, ‘Spa Hunter’, is available from Flying Moonlight Records.